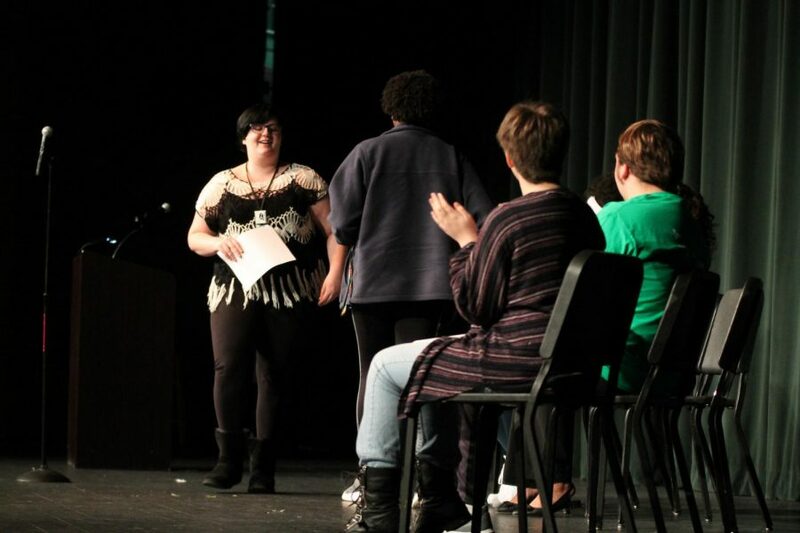 PHS Student Writers were featured during the 7th session of Writers Week on Monday. This year’s Writers Week T-shirt design was created by student Alicia Spalding. 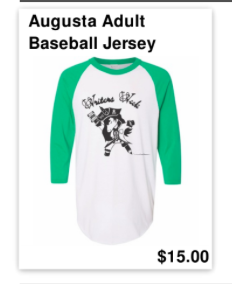 Extra shirts will be available for sale in the auditorium lobby for $15 during Writers Week. 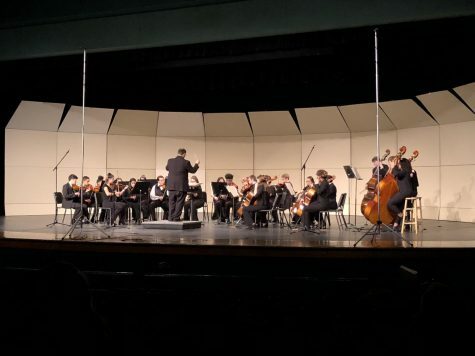 The Pattonville Auditorium’s stage will be graced by professional and amateur writers alike beginning March 4 when the 2nd Annual Writers Week kicks off. Pattonville’s Writers Week was started by English teacher Ms. Jodi Moeller last year. She began working with Writers Week at Hazelwood West before joining the Pattonville staff in 2017. Last year’s display at Pattonville featured works from teachers and students as well as nationally-praised poets, spoken word artists, and journalists. This year, she said spectators should expect something new. 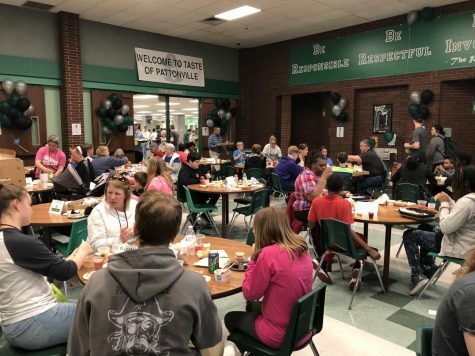 Several Pattonville alumni will return to the high school to kickoff this year’s event in Session 1 on Monday to talk about where they are now and how they use writing in their current fields. Moeller said other top sessions to see will be Gareth Hinds and Chris Crutcher. Crutcher is considered a controversial writer because he writes about real life and he will be presenting to students on Tuesday. “He writes about social sciences based on his work and studies as a psychiatrist,” Moeller said. His sessions will be 1st and 2nd hours on Tuesday. There truly is something available to all types of students during Writers Week. 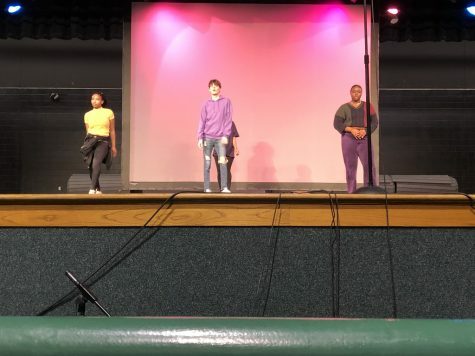 In addition to professionals, selected student presenters will share their original works on stage with classes that have signed up and attend Writers Week. 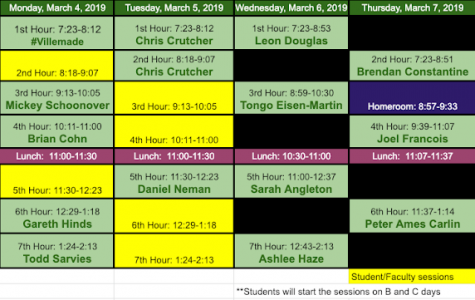 Below is the full schedule or click here to be taken the Writers Week website.